SUBCHAPTER ‘M’ – OPTIONS – How did we get here and what are my options? ​ ” was heading east near Mobile Alabama, towards its ultimate destination of Miami, FL. Unfortunately for the 200 passengers and crew on that train, at approximately 0245, in this same foggy condition up ahead of them, the Captain of the tug MAUVILLA, pushing several barges, was having difficulty determining exactly where he was located and where he could lay up his barges to wait out the fog. 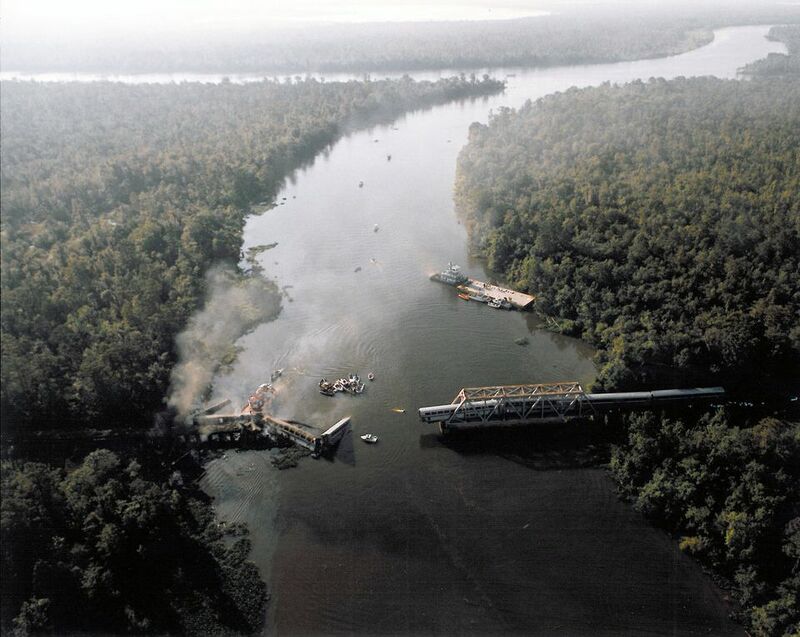 Unsure of his position, the barges struck the Amtrak railroad bridge, which crosses Big Bayou Canot, dislodging the tracks from and damaging the bridge. A mere eight minutes later, while the Captain and crew of the tug were trying to free the barges from the bridge structure, the Sunset Limited, with 3 locomotive units, baggage and dormitory cars, and six passenger cars went off the bridge and into Big Bayou Canot at 72 miles per hour. Fuel tanks on the locomotive cars ruptured and a large fire ensued. So intense that it burned off the fog in the immediate vicinity. Tragically, 42 passengers and 5 Amtrak crew were lost and several more were injured. It is worth noting that the Captain of the tug saved 17 people from the bayou and I believe, was at a great disadvantage in this situation. He was not provided with the tools needed to safely navigate in reduced (zero) visibility conditions. He was not required to be formally trained in how use the vessel’s RADAR for not only collision avoidance, but navigation as well. And the company didn’t appear have a sound plan on how to deal with these types weather and operating conditions. All of which may have prevented this tragic loss of life. 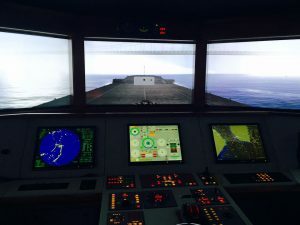 ​ , other regulatory changes were made, such as a new towing vessel licensing and training scheme, training requirements for the use of RADAR, and vessel navigational and safety equipment requirements. ​ , it is akin to navigating up a bayou in zero visibility without an operational RADAR or proper charts on board. Considering that the Coast Guard has not been funded to train more marine inspectors, Subchapter M allows companies to use Third Party Organizations (TPOs) to oversee their safety management systems, thus ‘verifying’ compliance on behalf of the U.S. Coast Guard. 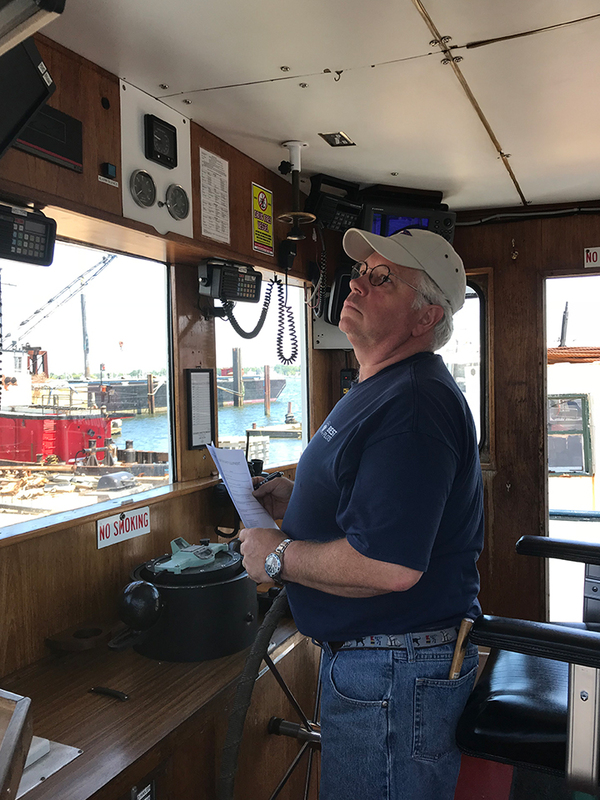 The Coast Guard will still visit your vessel periodically, issue your initial Certificate of Inspection (COI), and monitor the TPOs and how they, in turn, monitor your operations. Of course this all comes at a cost. ​ ’ will be required to pay an annual fee of $2915​. “Seagoing” refers to those operating outside of the Boundary Line. This annual fee is required regardless if you use the TPO option or chose to have the Coast Guard visit your vessel on an annual basis. Third Party Organizations are private entities, which are free to charge fees for conducting vessel internal or ‘external’ vessel audits (more on audits in a later blog!). They are approved by the U.S. Coast Guard and only those organizations can act in this manner. ​ ”. By choosing this option, a Coast Guard marine inspector will visit each vessel annually, ensuring compliance. The COI will be issued during the initial visit and is good for 5-years. Each year after that, they will visit each vessel and conduct an inspection to make sure the vessel remains in compliance. 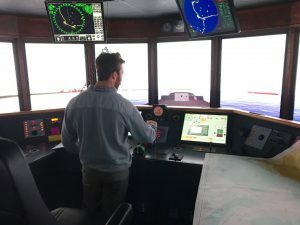 Scheduling of these inspections does require filling out the proper forms and planning ahead as resources are limited in some Coast Guard Sectors. However, each office has personnel that specialize in these regulations, and marine inspectors are trained in dealing with all kinds of inspected vessels, including towing vessels. In addition to COI inspections, each vessel will be required to be dry docked and inspected while it is out of the water. This will have to be done twice during the 5-year COI period, for those operating in salt water and once during the 5-year COI period for those operating in fresh water for a majority of the time. Those using the TPO option will coordinate with those organizations and will incur the costs of those visits as well. However, with proper planning and scheduling, the Coast Guard will also be able to come and visit the vessel out of the water, and conduct what is known as a “hull inspection”, for those using the Coast Guard option. The process of obtaining and maintaining a Certificate of Inspection (COI) can be daunting and somewhat confusing under the structure of these new regulations. However, options are available and being apprised of those options can save your company time and resources. Subchapter M is here and it comes with a lot of questions. But we can help you answer ALL of those questions and what is best for you and your operation!